Nice video, I enjoyed watching it. Do you have others? What wood is that? It has a beautiful grain. What finish did you use? I used a plum tree, the finish coating was a natural oil-wax. Beautiful piece of wood. The shape of the lukas is nice also. Good kuksa. Rare to see one carved here. Thank you. See how the bulk waste wood is removed? I've been doing the same thing with all my dishes for many years. Brian, when I saw this video the first thought that came to mind was that looked like your style! A lot of that seems so familiar to me! Kuksa carved by the Sammi (reindeer people) in Scandinavia are made from birch burl. Also supposed to be the mark of a true "bush-crafter" to carve a kuksa. I've never even looked for a big enough piece of birch to consider carving one! But his rough-out technique is second to none for speed. Where can you see your work? I will try to remember to replace some old pictures of dishes after I get home next week. 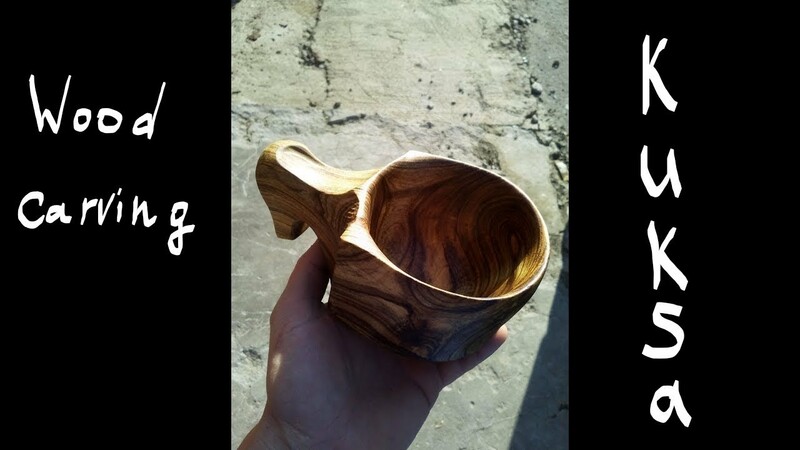 Great looking kuksa and super video!